In my own small way I'm here to add my voice to the millions speaking out against wind farms - the dreadful monstrosities that are littering our planet. Wind farms are far from "clean" and "green". They generate only a minute fraction of the electricity we need, are causing immense environmental damage, and are horribly expensive. Sadly, ever more giant wind turbines - some as tall as 400 feet - are marching over many of the most beautiful landscapes in the world. World energy demand has been growing at about 2 per cent a year for nearly 40 years. If wind turbines were to supply all of that growth (but no more) nearly 350,000 would need to be built each year. At a density of roughly 50 acres per megawatt (typical for wind farms) that many turbines would require a land area greater than Britain and Ireland combined. Every year. If we kept this up for 50 years we would have covered every square mile of a land area the size of Russia with wind farms. This would be just to fulfill the new demand for energy, not to displace the vast existing 80 per cent supply of global energy from fossil fuels. 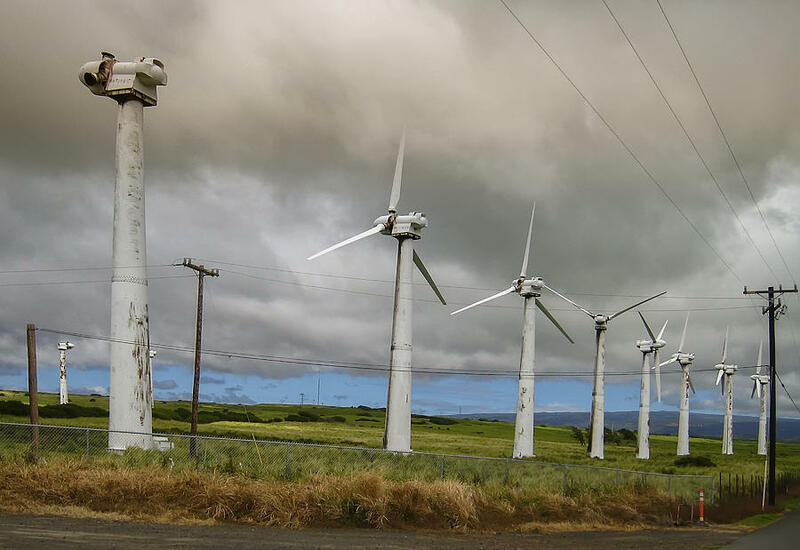 The direct effects of wind turbines - killing birds and bats, sinking concrete foundations deep into wild lands - is bad enough. But, on top of that, mining of rare-earth metals for the magnets in the turbines generates toxic and radioactive waste on an epic scale. 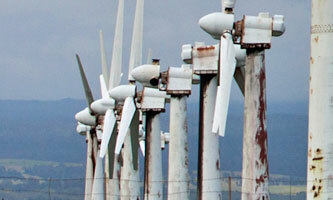 Wind turbines, apart from the fibreglass blades, are made mostly of steel, with concrete bases. Steel is made with coal, not just to provide the heat for smelting ore, but to supply the carbon in the alloy. Cement is also often made using coal. A two-megawatt wind turbine weighs about 250 tonnes, including the tower, nacelle, rotor and blades. Globally, it takes about half a tonne of coal to make a tonne of steel. Add another 25 tonnes of coal for making the cement and you’re talking 150 tonnes of coal per turbine. If we build 350,000 wind turbines a year just to keep up with increasing energy demand, that will require 50 million tonnes of coal a year. 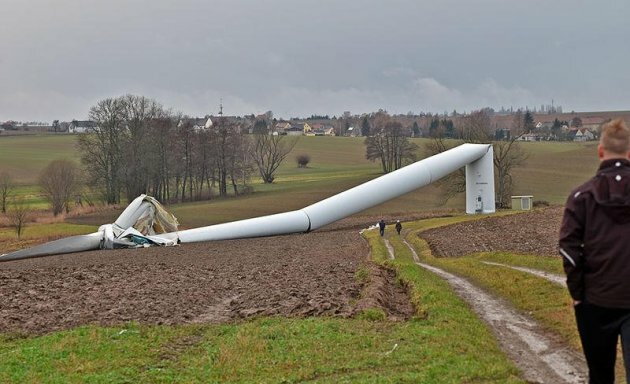 It's futile to think that wind power can make any significant contribution to world energy supply, let alone to emissions reductions, without ruining the planet. The madness will stop one day... it has to. I hope that I at least get to see a change in attitudes in my lifetime that begins the process of shutting wind farms down. I've no doubt that in the future our world will be covered in rusting hulks - the great white elephant of our times - but at least they'll no longer be killing hundreds of thousands of birds a year, including pelicans and eagles, and driving nearby residents to distraction by the swishing and thumping of the blades at all hours. Unfortunately I expect I won't witness when they're either taken down or decay and disappear altogether. We've left that mess for future generations. 20 years ago I was proud to call myself a Greenie. I care about my fellow humans, animals, birds, trees, the environment and our beautiful planet. I hate that our land and seas are polluted. Deforestation saddens me. I worry about our future. But I loathe wind farms. So what am I to call myself now? If only the billions spent on "combating global warming" was spent on cleaning up our rivers, seas, air and land - instead of on these behemoths that are causing nothing but death to wildlife, spoiling some of the most beautiful places on earth, raising electricity prices for ordinary people and making the ultra-rich green investors even richer.